After injection of the sealing compound in the covering lid, curing takes place in the tunnel furnace. Here, fault points and faulty thicknesses of compound must be acquired and faulty lids must be sorted out in the production process. A laser-based optical displacement measurement system samples the compound surface of the rotating lid for a quality inspection. 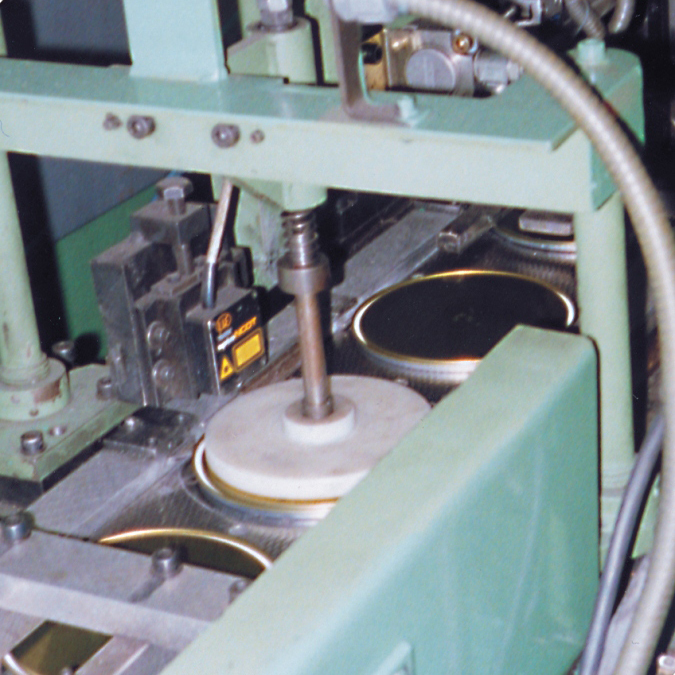 The monitoring of the thickness contour within the permissible tolerance limits and the sorting of the faulty lids occurs with the aid of the PLC that is employed.